This property is located on Weakley Lane, just minutes from Sam Ridley Parkway, are 17 +/- AC of wooded flat land, 3 bedroom septic mound system available, 2 bedroom conventional approved. 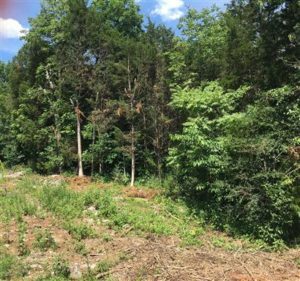 This track of land is conveniently located less than a minute from Stones River / Percy Priest Lake, surrounded by a number of different boat ramps along with recreational areas such as the Fate Sanders Marina. The lake impounds a water way approximately 42 miles long and encompasses 14,200 acres surface area and is surrounded by 18,854 acres of public lands of which 10,000 acres is devoted to wildlife management. Ideal setting for your dream home or vacation cabin. Country/Sportsman living convenient to the mid-state metropolitan area. BUYER’S AGENTS: Properly registered real estate agents acting as a Buyer’s Agent for their client will receive a FULL 3% Commission upon the successful close of the sale. Terms and Conditions of the Sale: Property is sold “AS IS, WHERE IS.” A 10% Buyer’s Premium will be added to the Winning Bid to determine the Final Sales Price. Closing on or before Wednesday, December 20, 2017. 20% down Day of Sale, balance at closing. Sale of property is not subject to Buyer receiving financing. Buyer to receive General Warranty Deed. Taxes prorated. Possible 80% Owner Financing at 5% interest amortized over 15 years with balance due in two years. Buyer to receive a title opinion letter. Directions: From Nissan Parkway to right on Weakley Lane. Property on right shortly after crossing lake bridge.